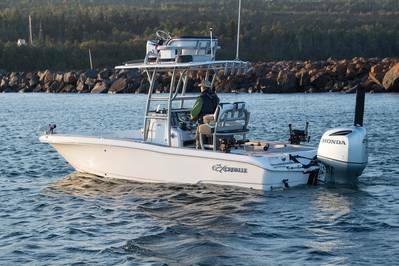 Honda Marine, a division of American Honda Motor Co., Inc. and marketer of a complete range of marine outboard four-stroke motors ranging from 2.3 to 250 horsepower, announced a new OEM supply agreement with Wildwood, Fla. based boat builder Crevalle Boats. 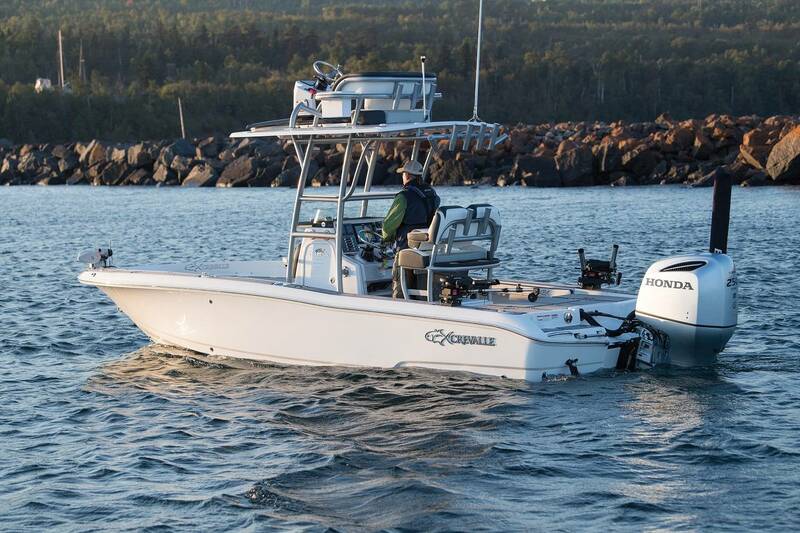 Honda Marine is now supplying Crevalle with its BF250 outboard motor, equipped with Intelligent Shift and Throttle (Drive by Wire iST), to power the 2018 Crevalle 24 Bay and 24 Bay with full second station. Honda Marine said the BF250 incorporates a number of advanced technological innovations that contribute to the engine’s high fuel efficiency and superior performance. The 3.6 liter VTEC (Variable Valve Timing and Lift Electronic Control) outboard incorporates the world’s first marine direct air dual circuit induction system of its type on a production outboard (providing for cooler, denser air for better combustion than conventional under-cowl induction systems) and has a full-throttle RPM range of 5,300-6,300. Intelligent Shift and Throttle on the Honda BF250 provides smooth, electronic shifting via a compact under-the-cowl design and allows for up to four engines and two control stations—providing effortless control; fine tuning of throttle settings; enhanced docking and slow speed control; user-programmable system defaults; and a simple, easy-to-understand interface. The all-new 24 Bay models are available now at Crevalle dealers.